In the lead up to the St. Boniface byelection, the Manitoba Teachers’ Society posed a series of education-related questions to the four candidates running for office. 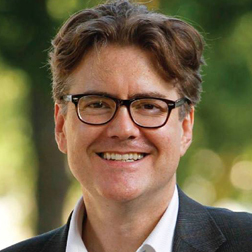 On July 17, Liberal Leader Dougald Lamont won the byelection. 1. In your view, what is the most important education issue facing us today? Manitoba in particular has serious problems with how students are performing in terms of math and reading. As a parent of four children in the public school system, I have been frustrated with the math curriculum in particular. However, the deeper problem is the Pallister government’s entire approach to education, which they call “cradle to career”. Education can give you all sorts of skills for work, but that is not the whole picture, and it’s not clear the Pallister government knows what makes a good worker. We contribute to our society and community in ways beyond work, and education is about more than learning how to do things, it is about learning how to think. The most important skills that contribute to success at work are about understanding and dealing with other human beings – in stories, history and other courses the Tories tend to want to cut. 2. What is your opinion of current spending on public education? I ran for Leader of the Manitoba Liberal Party because I knew the Pallister government would gut support for education, and it needed to be challenged. I have taught at the Universities of Winnipeg and Manitoba as a lecturer and I was on the Board of Governors of the U of M in the 1990s. We need stronger support from the Provincial government for funding K-12, rather than relying so much on property taxes. We also need to invest in research funding and make sure that university and college tuition is affordable. The Pallister government likes to say they are spending more than ever on everything – which is meaningless when costs and population are both growing. I can say that last year I bought my 7-year-old son his biggest-ever shirt, the reality is that it is going to be too small. 3. How will you address the high rates of poverty in Manitoba that inhibit children from succeeding in school, and subsequently in life? We need to realize that there is something severely broken in our economy in Manitoba. A recent report showed that the take-home pay of 1 in 5 Manitobans has not changed since 1976, and many more people have not seen raises in years. Many others have struggled working several jobs without benefits. We should not accept this as the new normal. We can create better jobs in Manitoba. Studies have shown that compared to other provinces, Manitoba has been worse at reducing poverty using Federal dollars. Manitoba’s welfare rates in 2012 were the lowest in the country, In 1992, the housing allowance for people on social assistance was rolled back to 1986 levels and frozen, under NDP and PCs alike, for over 20 years. The Manitoba Liberal Party has an upcoming policy conference on poverty and the economy, but we have proposed some measures to address poverty, especially through job creation and work. We have proposed a sustained, multi-year “New Deal” on infrastructure that would include investments in housing and child care spaces, as well as economic, social and environmental infrastructure, including affordable housing, and transit. This would create new jobs, housing, and lift people out of poverty. We have also proposed a “Manitoba Business Development Bank” that would exist to help Manitoba businesses grow and create good jobs. 4. What measures do you support to enhance Manitoba students literacy and numeracy skills? We need curriculum reform and specialized training for teachers in Mathematics might help. Quebec’s mathematics scores are much higher than Manitoba’s, and their education system requires much more intensive training, especially when it comes to math courses. 5. How will you ensure that public schools operate effectively, and that all children achieve academic success? There are certain fundamentals that need to be in place. We need stable funding, and we need to recognize that students, and different regions, may face different challenges. We need a curriculum that is accessible and effective. We also need a fundamental commitment to equity – whether it is equity in terms of recognizing and dealing with the needs of students in poverty or who face language or other barriers, but also equity related to distance for rural and northern residents. Some experts recommend a market approach to testing and funding for students and teachers, which make a fundamental mistake in assuming all students are the same. This can create a system that rewards teachers and students who are already better off while punishing those that are already challenged. By analogy, if we treat the system as a house with a foundation that is crumbling on one side, and strong on the other, a market approach tries to reinforce the side that is already strong, rather than shoring up the foundation where it is weak. That being said, we have to be willing to challenge our expectations of ourselves and our students in order to get students to grow. We can have the best students in Canada, and in the world in any given subject. 6. Do you have any tax proposals to offer for public school funding? We have committed to an overall tax review to make sure that Manitoba has a fair tax system where everyone pays their fair share. For too many years, tax policy has been made based on boutique tax credits designed to appeal to a particular segment of the population for political gain. This was true under the NDP and the PCs alike, who reduced progressive taxes, like income and business taxes, benefiting the richest Manitobans, while raising regressive taxes and fees. While Manitoba has the highest taxes for low- and middle-income earners, our taxes for highest earners are comparable to other provinces. The result is that Manitoba has a complicated patchwork of taxes and credits that is often unfair, regressive and difficult to administer – and are contributing to our deficits. For example, if Manitoba returned to its tax levels from 1999 under the PCs, the province would be in surplus. This is an opportunity to modernize Manitoba’s tax system in a way that is progressive, effective, and fair. 7. What will your party do to improve teachers’ quality of working life and value their contributions? We are committed to respecting teachers’ bargaining rights and recognizing that teaching is hard work, and thanking them for the contributions they make in ensuring a brighter future for our children and our province. 8. A fully functioning Bureau de l’education française (BEF) is essential to the quality of French-language education in Manitoba. What are your plans to ensure that the BEF continues to provide a level of service and expertise that is deserving of Manitoba’s students? We have made it clear that we will fight to restore the BEF and the bilingual assistant deputy minister of education. What has happened to the BEF is a rollback of 50 years of progress in French education and a violation of the principles on which Manitoba was founded. We will also work with the Division Scolaire Franco-Manitobaine, francophones and francophiles in order to ensure improved quality and access to French and French Immersion education in Manitoba. 9. French-language education is the fastest growing segment of Manitoba’s K-12 education system. Unfortunately, while demand has increased, the supply of qualified French-language teachers has decreased. How will your party recruit more French-language teachers? There are a number of challenges. As I mentioned, all four of my children are in French Immersion in public schools and will be affected by cuts to the BEF as well as to teacher shortages, which are nationwide. Université Saint-Boniface (USB) sometimes has to turn away applicants from education because the institution has inadequate funding. We will enhance funding to USB education and provide incentives for teachers with French, as well as engaging in a recruitment drive to attract teachers to Manitoba. 10. With legalization of marijuana in Canada this October, will you support using a portion of revenue derived from cannabis sales for programs aimed at educating youth about the effects of cannabis consumption on the developing brain? We do support using revenue from cannabis sales for awareness campaigns, but it needs to be about much more than public awareness campaigns about cannabis. We need public awareness campaigns about the dangers of meth and opioids. We need effective intervention and enforcement for underage use of cannabis. We need new mental health supports and addictions treatment for people of all ages. However, we need to be clear about what the legalization of cannabis means. In Manitoba, it is only going to be legal for people 19 and over. For everyone under 19 it will be illegal. A 2015 study showed that a greater percentage of young people in Canada use cannabis than any other country. Colorado, where cannabis is legal, had a fraction of the reported use. It is often easier and less costly for minors in Canada to buy cannabis now – when it is illegal – than it is for them to get alcohol. When it comes to intervention and enforcement of cannabis consumption by minors, we believe young people caught either possessing or consuming cannabis should be ticketed and receive an intervention and treatment. Anyone selling to minors can be charged. While there are concerns about the use of cannabis, we are much more concerned about the epidemic of meth and opioid addiction in Manitoba, which is killing people. We have called repeatedly on the Pallister government to improve addiction services, but they have cut support for addictions instead. We favour improving mental health care, especially for young people who are suffering from anxiety, depression, or any other illness. Early intervention is the key to reducing more serious problems later on, but the serious side effects of excessive cannabis use tend to be much worse in people who are already suffering from specific kinds of mental illness, or who have a history of it in their family.